LEARN A LITTLE MORE ABOUT INKIND AND WHAT WE DO. Do you invest in restaurants? 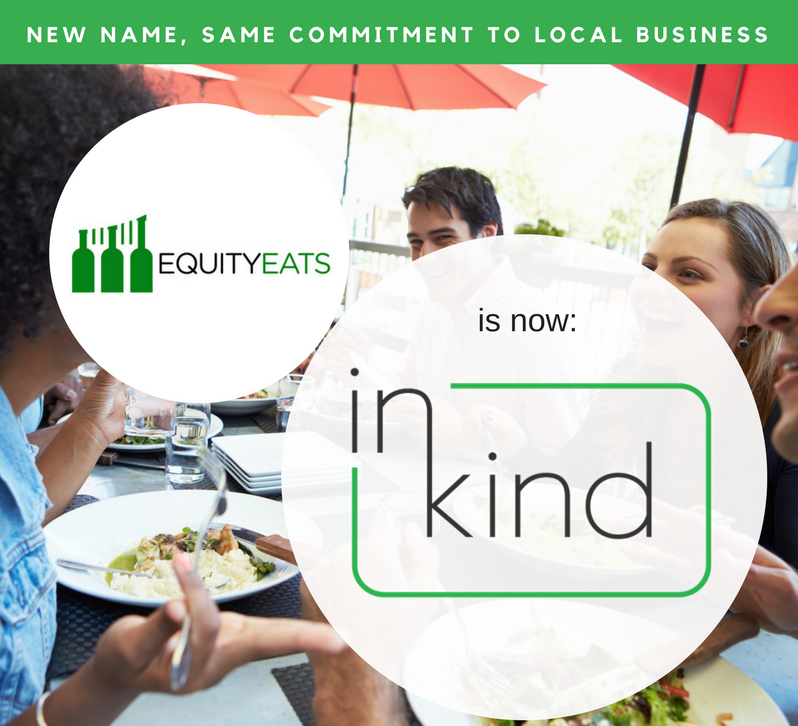 inKind doesn't take any equity in your restaurant, we take food and beverage credit, which we sell to people in your local community. A House Account is an amount of food and beverage credit that is redeemable at your business - it allows guests to prepay for multiple visits. When someone buys one, they are prompted to enter information about their dining preferences, so the next time they come in, you are notified with that information to give them a more personalized service. How do you provide funding? We pay you for a large amount of food and beverage credit, which we then sell over time as House Accounts to pay ourselves back. You can use the money for new equipment, an expansion, a renovation project or just some working capital. We require a few pieces of information prior to providing funds (such as access to your Facebook page). Once you get us these, we can fund within 24 hours. Can you fund my restaurant if it isn't open yet? We can fund new restaurants once you are within 30 days of opening. In this pre-opening period we will market House Accounts to your friends and family who want to support you. We can start marketing to local people as soon as you are open and they can come and try you out. What countries is inKind available in? We currently work with restuarants in the US and Australia. All you need to do is add a tender type to your POS for "inKind House Account" and you are all set. How do we track credit used in-store? The inKind Manager's App allows you to see all credit used, as well as credit remaining at the click of a button. You can also run reports detailing credit usage over a set period of time. The paid portion doesn't expire, the promotional portion expires in 3 years (so if someone buys a $500 House Account that gives $600 in credit, $500 of credit will never expire and $100 of credit will expire in 3 years). How do you know when a House Account holder walks in? We send you a small piece of technology called a beacon. Hide it near the front of your restaurant and when a House Account holder walks in, the beacon detects the inKind app on their phone and sends you a notification. What information about a House Account holder do I get when they walk in? We pull a picture from their social media accounts, or ask them to upload a selfie, so you know what they look like. You'll also see their name and last visits and then dining preferences such as their favorite cocktail, their ordering style (adventurous or stick to menu), and any allergies. How do House Account holders help increase my revenue? Through our app, we encourage House Account holders to refer their friends to your restuarant and suggest you as a venue for private events coming up. How do you sell the credit? We sell through a combination of social media posts, targeted emails and in-store (providing you with full color flyers to hand to guests, and training your staff to talk about House Accounts). Are we responsible for selling the credit in-store? We will work with you to sell House Accounts in-store - (i) providing your staff with flyers to hand to guests or leave on tables, (ii) tips on how to talk about House Accounts and (iii) the best moments to suggest one to a guest. What happens if the credit is not sold in 6 months? Each week we have a goal to ensure that by the end of 6 months, we have sold enough credit to cover the funds we provide you with. If we don't quite hit a week's target, we ask you to make up the difference. Are you ready to grow? Introduce House Accounts to your business, today.